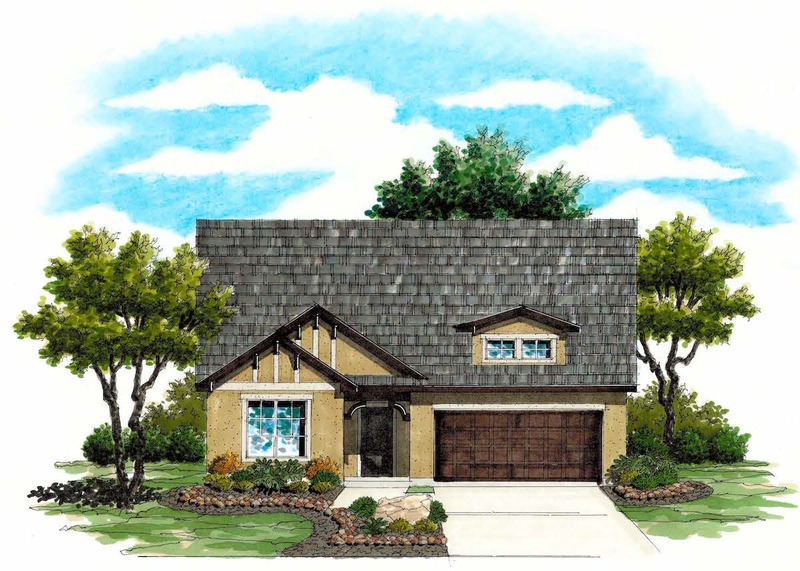 This beautiful 1 story design features 3 bedrooms 2 baths with spacious optional study. Across from the large family room features a very spacious kitchen with tons of cabinet and granite countertop space. The 42-inch upper kitchen cabinets are accented by stainless appliances and beautiful 18- and 20-inch floor tile. Across from the family room is a sunroom and the master bedroom is conveniently located just past. The master bath has a large his-and-her vanity with make-up knee space and a large separate tiled shower adjacent to the garden tub. A covered patio, full security system, garage door opener, water softener pre-plumb and sprinkler system add to the awesome value of the Cambridge!